To gain insights on how to program swarms of tiny robots, scientists are studying one of nature’s most cohesive species—fire ants. When the insects work together, they’re a force to be reckoned with. The small creatures are capable of using their bodies to create towering structures of more than 30 stacked ants and buoying themselves into a raft so buoyant it stays afloat even when a human hand forces it under water. Scientists had previously observed ants creating these towering structures from their own bodies, and the video offers a fresh look at the phenomenon. If an ant takes on more weight than it can bear, the ants fall away from the tower like a cascading avalanche. By continuously scrambling over each other, the ants are able to eventually build a solid base, building on each other from the bottom up. “The ants are circulating like a water fountain, in reverse,” one of the study’s authors told Nature. 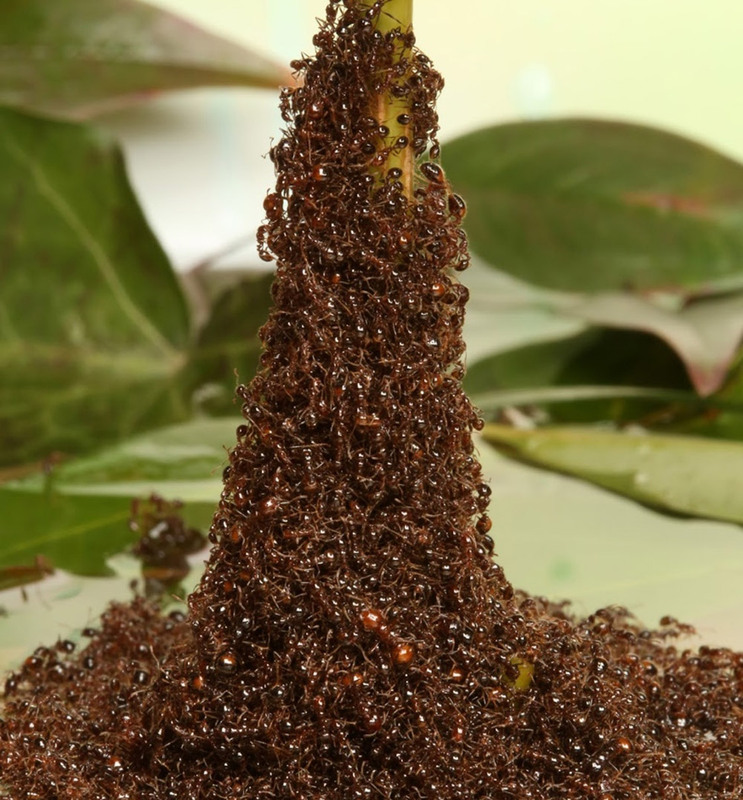 The dynamics of their static structures was discovered by the same research group in 2014 when they studied how ants formed such robust raft structures. “Imagine robots that need to construct a barrier or patch a hole during a disaster response,” one of the 2014 study’s authors told Nature.